Cindy Cunningham has been interested and involved in public service all of her life. Growing up as one of two daughters of a union plumber taught her the value of hard work and the need for people to work together to achieve our goals. Her dad worked on some of Chicago’s most iconic buildings—the Hancock building, the First National Bank of America (now Chase), and the new Comiskey Park (now Guaranteed Rate Stadium). Her mother worked in a piano hammer factory and managed the family home. While growing up, Cindy learned the value of helping others by volunteering in the special education classroom in her school, reading to fellow students after her class work was done. This exposure to being able to help people with special needs early on eventually led her to a degree in recreation therapy from the University of Illinois at Urbana-Champaign and a lifelong home in Champaign County. Cindy’s professional career has been focused on service to others. She has worked with senior citizens, disabled veterans, and disabled kids. While a student at the U of I, Cindy spent her summers at a residential camp for disabled kids, teaching swimming lessons, helping them with personal care needs, and helping them have a good time. Her college internship was at the Danville VA, focusing on using recreation as a treatment intervention for veterans in the Alcohol and Drug Rehabilitation Unit and the Psychiatric care unit. Since graduation, her focus has been on helping seniors. She has worked in nursing homes and in adult day services programs, and for the University of Illinois’s College of Nursing on a special project, and finally created her own company, Cobalt Creek Consulting, to assist others in the creation and running of businesses that provide home and community based services to seniors. Working for the University of Illinois, Cindy participated in a literature review on ways to improve functioning of persons with early stage dementia, without the use of prescription drugs, a project contracted by the Alzheimer’s Association. She co-authored a paper with professors from around the country on the topic. Cindy’s passion for compassionate care for seniors led to her involvement in professional associations, statewide. She was the Executive Director of the Illinois Coalition on Aging, serves as the President of the Illinois Adult Day Services Association and as the Legislative Chair for the Illinois Association of Community Care Program Home Care Providers. She is an appointed member of Illinois’s Older Adult Services Advisory Committee. 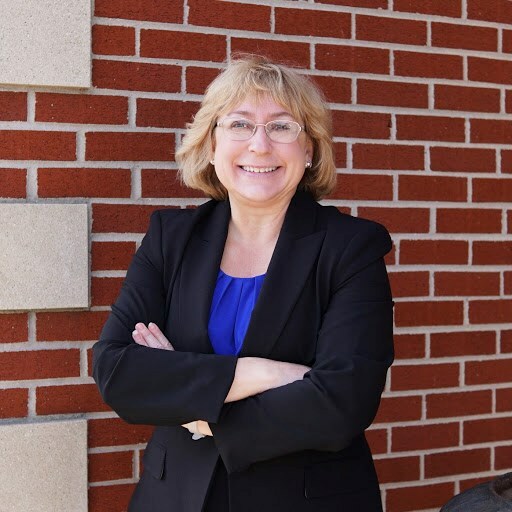 She has spoken at numerous state, local, and national conferences on aging care, including for Leading Age Illinois, the National Adult Day Services Association, and the Governor’s Conference on Aging. In her free time, Cindy enjoys spending time with her family—husband Keith a farmer and retired Lieutenant with the Champaign County Sheriff’s Office, daughters Katie and Andrea, and son Ben. But she also believes in contributing to the well being of her community, and served as a volunteer firefighter and EMT-B with the Ogden-Royal Fire Department and has taught Sunday School at St. John Lutheran Church in Royal since 2008. She was a Girl Scout leader for several years and she currently serves on St. John’s church council. The last two years of Illinois’s failure to enact a budget led Cindy to the decision to run for state representative. During the course of the budget impasse, Cindy advocated for emergency Medicaid payments for providers to enable them to continue serving seniors, she pushed for the inclusion of Community Care Providers in the Medicaid court orders for payment, appeared at numerous state hearings on the effect of the budget impasse and has been a powerful advocate for the fair treatment of seniors and the people who care for them. She served on the steering committee for Pay Now Illinois, a group of human services providers who were not being paid for the services that the state contracted with them to provide, that sued the state of Illinois, seeking fair treatment. Cindy’s goals for office include developing a strategy for addressing the growing needs of seniors in Illinois, the fair treatment of labor unions by the state, reaffirming our commitment to education and higher education through equitable, stable funding of our schools, colleges, and universities, changing our income tax structure to be more fair, and pushing for the fair treatment of all Illinoisans, not just the elite.